We have again selected an outstanding recipient of the Winsome Constance Kindness Medal for 2011 and we are delighted to advise that the recipient is Dr T. Colin Campbell from New York. Dr. Ian Gawler, last years recipient of the medal, kindly accept the award on Colin’s behalf. T. Colin Campbell, who was trained at Cornell (M.S., Ph.D.) and MIT (Research Associate) in nutrition, biochemistry and toxicology, spent 10 years on the faculty of Virginia Tech's Department of Biochemistry and Nutrition before returning to the Division of Nutritional Sciences at Cornell in 1975 where he presently holds his Endowed Chair (now Emeritus). His principal scientific interests, which began with his graduate training in the late 1950's, has been on the effects of nutritional status on long term health, particularly on the causation of cancer. He has conducted original research both in laboratory experiments and in large-scale human studies; has received over 70 grant-years of peer-reviewed research funding (mostly NIH), has served on several grant review panels of multiple funding agencies, has lectured extensively, and has authored over 300 research papers. Also, he a) coordinated a USAID-supported technical assistance program for a nationwide nutrition program for malnourished pre-school age children in the Philippines (1966-74), b) organized and directed a multi-national project responsible for nationwide surveys of diet, lifestyle and mortality in the People's Republic of China (1983-present), c) was a co-author and member of National Academy of Science's expert panels on saccharin carcinogenicity (1978); food safety policy (1978-79); diet, nutrition and cancer (1981-82); research recommendations on diet, nutrition and cancer (1982-83); and food labeling policy (1989-1990), d) was the organizer and Co-Chair (but listed as Senior Science Advisor) of the World Cancer Research Fund/American Institute for Cancer Research report on international diet and cancer recommendations (1993-1997), e) was the principal witness for the National Academy of Sciences in two Federal Trade Commission hearings on issues concerning product-specific health claims (1984-1986), f) was Visiting Scholar at the Radcliffe Infirmary, University of Oxford/England (1985-1986), g) was the Senior Science Advisor for the American Institute for Cancer Research/World Cancer Research Fund (1983-1987, 1992-1997), h) presently holds an Honorary Professorships at the Chinese Academy of Preventive Medicine and i) is on the Research Advisory Board of the Chinese Institute of Nutritional Sciences in the Chinese Academy of Science, the government’s leading institution responsible for nutrition research and policy in China and is an Advisory Professor of the Shanghai Jiao Tong University. He is the recipient of several awards, both in research and citizenship. In summary, he has conducted original research investigation both in experimental animal and human studies, and has actively participated in the development of national and international nutrition policy. Since he accepted his Emeritus position in 2001, he initially devoted his time to co-authoring "The China Study", a anthology-like story of his experimental findings, along with the work of others, His co-author was Thomas M. Campbell II, MD, who switched his career from theater to medicine while writing the book. 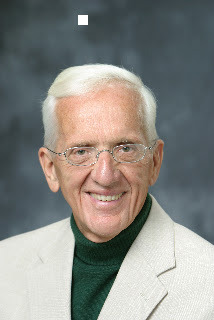 Following the publication of the book in early 2005, he (Colin Campbell) has lectured extensively, both in the U.S. and abroad, giving more than 300 lectures, most of which are now provided to medical professional communities. The book has become a national best seller at least 6 times over. In recent years, he has overseen the development of a highly successful on-line course on 'plant-based nutrition' that drew from his lectures that he taught at Cornell for 7 years. This is a unique program that was developed and is now directed by a former student (Meghan Murphy) and others in collaboration with a Cornell University owned company responsible for the development of on-line courses for Cornell faculty. It is hosted by the Campbell Foundation at www.tcolincampbell.org.